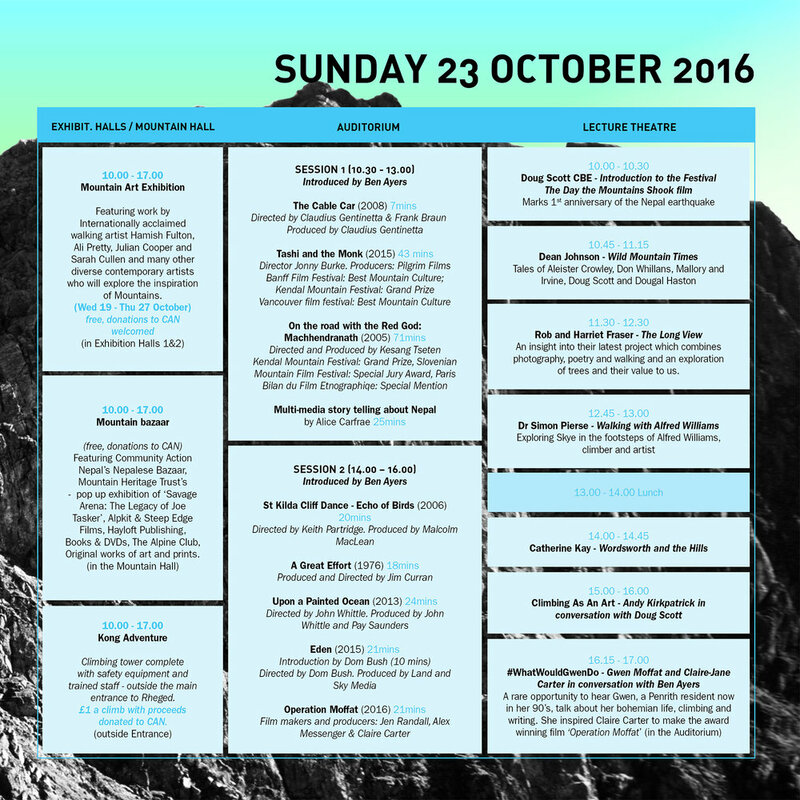 Our programme this year includes talks and lectures in the Lecture Theatre on a range of topics from a number of highly acclaimed thinkers and climbers, a specially curated two day film programme including a tribute to the late Jim Curran in the Auditorium. Please make sure you step out of the scheduled events to visit the accompanying Art Exhibition in Mountain Halls 1&2 including work from internationally renowned artists or to browse the Nepalese Bazaar in The Mountain Hall. You can purchase day passes or single-event tickets. For any queries regarding the programme or tickets please get in touch with us via the Contact page. We look forward to seeing you at The Mountain Arts Festival 2016!